As you prepare your pack before any adventure, forethought will help ensure it’s a safe one. Make sure your checklist includes water, food and a first aid kit. Water for that all important hydration. Food is fuel and should be taken seriously when you hike or whatever your outing may be. A first aid kit should be a standard in every pack, no matter how long or short the journey. Is what you have packed going to take you where you want to go? Food is the fuel for that body of yours. Remember, feeding the soul is secondary in comparison to feeding the body. 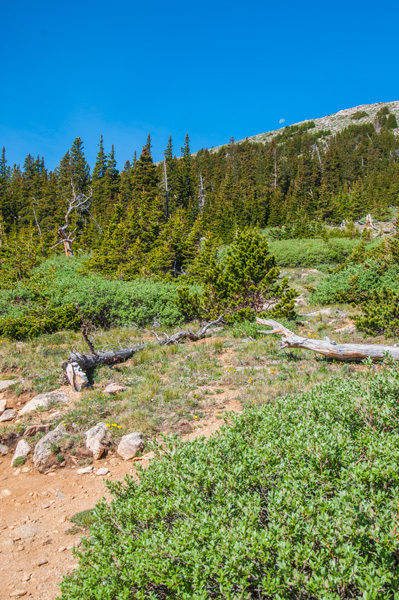 As it is known in the hiking world, summit is optional, descending is mandatory. Trust me; you will be thankful for planning ahead. If you want to return with a well fed soul you’ll need a nutritionally well fed body. I prefer to eat a good breakfast of an egg on a muffin before I head out. This gives me a good balance of carbs and proteins. When I must travel far to the trail head, I often grab a protein bar to eat on the way. Look for bars that have little to no sugars, if your diet requires it, and an equal balance of carbs and proteins. My backpack often includes trail mix I make on my own allowing me to create my own balance of nutritional food. There are many trail mix ideas on the internet. On a recent hike, I took a friend out on what I thought was an easy, round trip eight miler. About three miles in my friend, an inexperienced hiker started "hitting the wall” and if you have ever seen it, you know what I mean. She was crying, dry heaving, and wasn’t thinking clear. It didn’t take me long to figure out her body was in desperate need of help. I went into action and began to assess exactly what she needed. When hiking I try to be prepared for any basic emergency. I made the determination she was under-fueled. She initially refused my food as she was on a low carb diet and didn’t have proper food in her backpack to help her through the hike. I finally convinced her that her diet of low carbs did not apply to hiking, and I insisted she eat my apple that averages 25 grams of carbohydrates. Within twenty minutes of consuming my apple, my friend was happy, felt like she could do anything, and she did, she finished the hike! Good, nutritional food is key to successful completion and full enjoyment of your adventures. It is one of the 10 essentials recommended for hiking, backpacking and most other outdoor adventures. But if this was not a food emergency I felt prepared as my backpack always has a first aid kit that will take care of most needs while on the trail. Successful hiking results from your thoughtful preparations.